The Gen2 PA10 receivers are functionally compatible with the Gen1 receivers, however we recommend matching Gen2 lowers to Gen2 uppers for best appearance. There are external cosmetic differences when mixing gen1 and Gen2 upper and lower receivers that some may not find appealing. New and improved Palmetto State Armory PA10 Gen2 308 lower is fully assembled and ready for your complete PA10 Gen2 Upper! With streamlined styling and improved function, the new and improved PSA PA10 is here. The Gen2 model offers enhanced chambers and extraction. with a more modern appearance. Precision machined from forged 7075-T6 aluminum, these lowers are then Black anodize hardcoated to MIL-8625 Type 3 class 2. 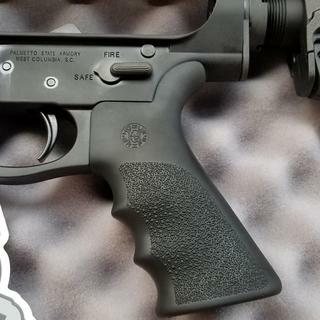 With an AR-15 style fire control group, and stock and grip options, the PSA PA10 allows the same configuration flexibility as enjoyed by the AR15, and is an ideal platform for the 308 cartridge. PLEASE NOTE: We are not accepting phone orders on this item. Lowers may take up to 10 BUSINESS DAYS to ship from receipt of FFL information. Please help us help you by ensuring your FFL is sent in as soon as possible. Am I able to get this shipped to california ? BEST ANSWER: Move to a free state! What brand and type magazines are compatible? I have tried 3 different brands of Plastic magazines .Pro Mag, PMAG and Hexmag. Every PMAG I have fits without fail. I cannot speak to any other type. I have three magpuls with mine but I have several other brands in other calibers that work fine with my other Palmetto AR's. I have 3 brands for my AR-47, all work great. Will this PSA Gen2 PA 10 308 "Lower" work with the PSA Gen2 PA-10 20" 308 Complete Barreled Upper" gas system or does it require a stock with a different "Buffer System" for the Rifle length gas system? Is your Gen2 PA10 compatible with DPMS style uppers? BEST ANSWER: Yes, this model .308 is compatible with the DPMS upper -- but, NOT the Armalite upper. Two different types of platform. Yes it is. It fit my DPMS upper perfectly. I believe that the answer is no. While they are very similar(unlike the armalite) there are minor differences. 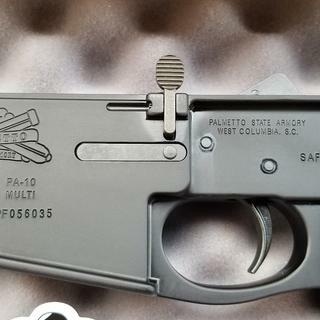 Palmetto does not recommend mixing ar10 parts like ar15 parts. No they are NOT compatible with all DPMS pattern uppers. Misc problems such as mag release on empty mag causes the bolt to drop. Are there left hand models available? Will this work on some other brand upper? BEST ANSWER: Because there is no "mil spec" for the AR-10, there is no "benchmark" to compare brands to. The PSA lowers and uppers are, to my knowledge, proprietary to one another. Yes it's a mill spec lower and should fit other uppers. I've read that DPMS uppers fit this PSA lower. Good luck the PSA GEN2 PA10 is a quality lower. It will NOT work with DPMS, CMMG, or Adams Arms .308 uppers. The slots on the Lower to accommodate the pivot pin and the takedown pin are different widths. From what I understand from Palmetto is no it will not. I have not tried it on any other upper though. Can I ship to Palmetto State Armory? DOES THIS LOWER HAVE A CLOSED EAR OR CAN I CHANGE TRIGGER GUARD? BEST ANSWER: The trigger guard is permanent on this lower, but it's very nicely contoured. It reminds me of the m-lok guard on my pa-15. The trigger guard is a molded one piece part of the lower unit ,so no you can not change the trigger guard. It has a closed ear! BEST ANSWER: It says PSA 10 Multi. Can I put a rifle buffer in this? BEST ANSWER: No. Unless you change the buffer tube out to a rifle buffer tuber then you can. Check your gas block and gas tube first. It says to use with PSA uppers. I know there's no mil spec, but AR and DPMS. Will it work with my existing Aero Upper DMPS or any other DPMS upper? Or PSA uses some proprietary tech? Will this lower for a aero precision m5 upper? Is that 7.62x39mm ,or 7.62x51mm? .308 is 7.62x51mm. For a 7.62x39 build, you can use the standard AR-15 lower. 7.62 X 51 mm. Don't need the AR10 for the shorter 7.62 X 39 mm. Daniel, that was a 7.62x51 (.308). BTW it functions perfectly. Is this a complete lower to where I don’t need anything else other than a psa gen 2 pa10 complete upper to make a complete gun? BEST ANSWER: Correct. I bought this complete lower and bought a complete upper from them and put put them together and went to the range. I have no issues with either. I love it. Enjoy! Yes it’s GTG out of the box. I purchased a PSA 18 upper for mine and it’s functions perfectly. You will need the complete upper and magazines. Its ready to go right out of the box. If i buy a complete lower and upper will that be a complete gun? BEST ANSWER: Almost complete, you will still need a box magazine and sights/optic. Be sure to choose a lower that has the appropriate weight buffer & spring to work with the length of gas system on the upper. Unless it says specifically, you will still need a bolt carrier group and charging handle. Yes, just make sure the upper comes with a bolt and carrier. Just add magazines and optics and you're set. With the exception of a magazine, yes. will this work with a davidson defense upper? Yes, just make sure its an AR10 upper. Most are either .308 or 6.5 creedmore. I have one of davidson defense uppers on a ar15 5.56 pistol, no issues works great. Should work with any standard AR-10 format upper. i just bought this lower, can i use 6.5 creedmoor upper with this? Will this also accept 7.62 ammunition? Yes sir, as a custom builder and USMC armourer 32 yrs I have found the PSA complete lower to be a superior assembly in the industry.I have tried synthetic lowers and other manufactuers and yet I go back to PSA for a well machined and tough lower with a consistent quality complete lower ready to go. It’s a lower receiver. The answer is no. It may work on the upper 7.62 upper receiver based on the height of the barrel and bolt. This platform will run either 7.62x51 (.308), or 6.5 creedmore. Will this lower work with a 6.5 creedmoor barrel? BEST ANSWER: Yes, both the .308 and 6.5 creed use the larger AR10 platform instead of the AR15 lower that is more common for 5.56/.223. Yes, it will fit a 6.5 upper reciver. 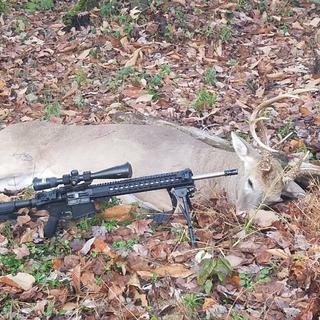 You should have no problems fiting it on a 6.5 Creedmoor upper. It will not fit on a 6.5 Grendel upper reciver. The 6.5 Grendel fits the AR 15 lower reciver. I purchased the PSA Gen2 PA 308 reciver and built a 308. It is a really well built complete lower. I hope this info is helpfull. I don't see why that it would not. Call Palmetto to verify. Its only a phone call. 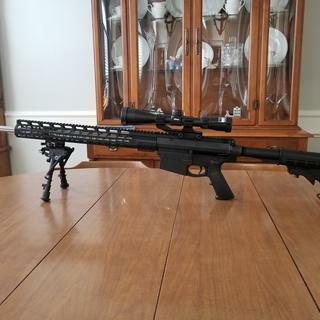 I have built .308 and .243 on a AR10 profile. Any AR10 platform lower will accommodate the 6.5. This lower, however, must use Palmetto State uppers. Can you install an AR15 ambidextrous safety? BEST ANSWER: Yes. It uses standard lower internals. Only difference between AR10 and AR15 trigger groups is a larger hammer to prevent light primer strikes on the harder mil surplus primers. Trigger and safety are standard. In fact you can run drop in AR15 trigger groups if you are shooting commercial ammo. Yes you can, a standard AR15 safety works perfectly. Be careful when you remove the grip as there are two springs in the grip. One is the safety retainer spring and the other is the rear pivot pin detent spring. BEST ANSWER: It looks like mil spec to me, I thought it said mil spec on the advertising when I purchased this lower. Have had no problems with this lower since I purchased it. Everything I have ever bought from PSA has been Mil Spec. Commercial was and remains a pox upon the AR community. Mil Spec but the buffer tube isnt carbine length or rifle length. Do Palmetto State Armory PA10, PA65 and AR15 lowers come with a magazine? None I have bought came with one. They run sales from time to time that they will throw mags in with some purchases. Will this lower work with the 6.5 creedmoor upper? I have not mounted a 6.5 creedmore upper on my Pallmetto lower yet. From what I understand the only difference between the upper's is the barrel. I have interchanged PSA uppers with different lowers and visa-versa with no problems. Yes it will as long as it is of the DPMS style upper receiver. Yes you can put a 6.5 creedmoor upper on it. This lower is ready to be built for 6.5. Or is it just for .308? 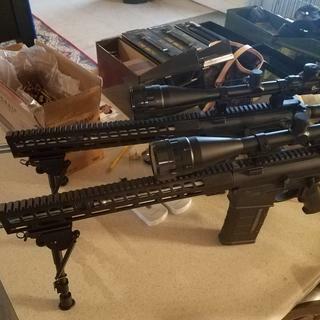 BEST ANSWER: This can be used for 308 as well as 6.5, in fact, that is what I am doing, getting the upper for the 6.5 to add to this and from everything I have gathered uses the same mags. Which calibers ,besides .308 uppers,can I attach to this lower? BEST ANSWER: Any AR10 caliber complete upper will work from Palmetto, However Ar10s are not as interchangeable as AR15s. 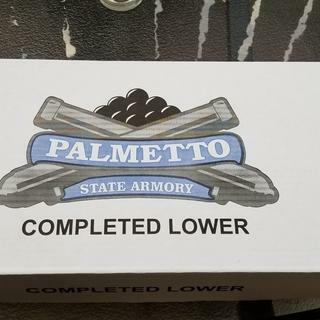 I’d use a Palmetto State stripped upper if you are building a rifle to make sure all is well. Some other uppers work, but lines will be off, some other will not. Typical calibers you'll use on this platform are 7mm-08, 243, 6.5 creedmore. I know there are several more. Look up AR-10 calibers to find others. I think you can use 6.5 creesmoor or 308. Will this lower fit a Diamondback upper? BEST ANSWER: No, The diamondbacks have an armalite style upper. It should fit as long as you are using a .308 upper. Is the lower marked anywhere as a .308 Cal? BEST ANSWER: Not marked on the lower the caliber is marked on the barrel. I believe the GEN2 PA10 Lower is made for multiple calibers. No,it is marked only as PA-10 MULTI and serial number. Mine was marked multi not .308 or 7.62. 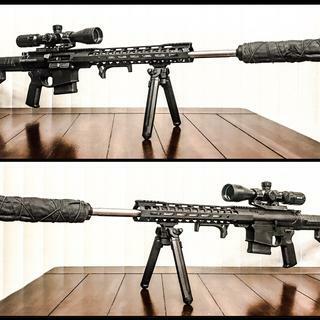 Will this work with LR-308 Areo Precision upper? BEST ANSWER: Yes. The PA10 is a lower for any AR10 upper. I have them on my .308 6mm creedmoor and 6.5mm creedmoor. I paired mine with a palmetto upper. When it comes to .308 you usually have to match the receivers as far as I know. Will this lower work with the 6.5 upper? I have it paired perfectly with an Aero Precision 6.5 Creedmore upper. - 7.62, .308, and 6.5 creed ALL fit the PA-10 lower - just not the armalite upper models. Does this reciever come with single stage or double stage trigger? Incredible rifle for the price! This is my first PSA rifle. I Bought 2, Paired both with the 18 inch upper. This rifle has been fantastic. I ran 50 rounds through both right out of the box without lubricating them. Ran another 50 rounds through them after lubricating the bolts and Carrier Groups. Picked one to spray paint and that one I shot another hundred rounds through. So thats several hundred rounds with zero issues in 2 rifles. The gas system setup is fantastic, I don't think you could get these things to fail to eject if you tried. So far I've been able to feed it everything, my 7.62 NATO and 308 everything from heavy and slow to light and fast the only thing I haven't tried is subsonics... it chambers every time. Out of the box I'm shooting about 9" or 3 MOA at 300 yards with 1982 Surplus military 308. I blame this mostly on the trigger, which to be honest is not bad at all but it's not a 1000 yard trigger. 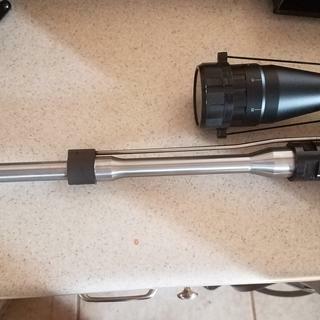 I'm also using a bipod on my picnic table in my backyard not a sandbag so a new trigger along with sandbags and I'll be shooting close to 1 MOA which is impressive for this price. A 2.5 or 3.5lb trigger with a new muzzle brake and perhaps better cheek weld and this rifle can shoot 1000 yards. 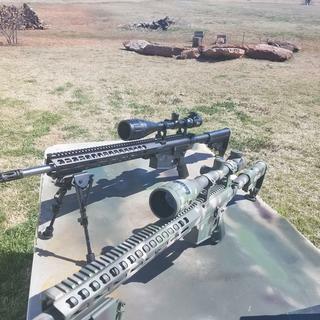 In conclusion right out of the box you get minute of zombie shooting out to 500 yards and with another few hundred dollars spent you will get minute of zombie out to a thousand yards. Incredible value! I can't believe I waited this long to try PSA. Sub $1500 Build w/ PA10 base and PA65 upper. Affordable. Well made. Quick shipping. I mated this lower with my PSA upper. The bolt catch was impeded by the upper ever so slightly. The bolt would not lock open I called customer service and considered sending the lower back but while talking with customer service they offered to send another bolt catch assembly for me to drop in. So far so good. The CS rep said they get it in the mail that week. Two weeks go by and I call again to inquire about the shipment, naturally at this time the assembly is out of stock, but they assure me they'll get one from somewhere and send it off, you guessed it, by the end of the week. Yesterday I called to see the status again because the end of the week came and went. Yesterday I was told we will get back to you by the end of the day via phone to let you know when you can expect us to ship it. Yep, no phone call. I just called again and basically am being promised now it will be set up for shipping today. I assume they're breaking down a completed upper to salvage an assembly to ship to me. I get the fact that there are going to be problems from time to time with items. What I don't get is the runaround I received. I have spent close to $1000 with PSA this year without an issue and I generally am happy with what they deliver. In the meantime, for me to adjust the gas block I filed down the catch where it was being impeded by the upper in order to hold open on an empty mag. I didn't really like the alternative which was filing on the inside of the upper. So I was able to adjust it enough to cycle consistently. But the locked open condition is pretty fragile, one decent bump and it will close. Wanted a 308 to hunt with and I really like the customization of the AR platform. PSA prices couldn't be beaten. Trigger pull is a little heavy and the take-up is typical of an AR, But the break is clean and crisp. Oiled the moving parts and pinned a PSA Gen2 upper assembly to it (yes, there was some rattle, but a foam earplug under the rear lug solved that) and she runs flawlessly. The only issue I have is, Hexmags fit very snug and don't drop free....I think I can deal with this one flaw. I'd recommend to anyone wanting basic quality at a fair price. I added an expensive trigger and an expensive buttstock from another vendor. I paired the upgraded lower to a PA-10 rifle-length upper. The PA-10 lower is a well-made vehicle ready for upgrades of your choice. Fit and finish are very good. All dimensions are in-spec. Otherwise, the basic buttstock and the basic AR-type trigger that it comes with are, well... basic. Do yourself a favor, and put a better trigger and buttstock on it. Works great, very good trigger pull. Pickup the Same day,My FFL call me when UPS drop. Not to heavy. I recommend this item product yes i do. quality is really good, the only thing I changed was the trigger, I went with a 3 lb drop in model. The price is excellent, you can't buy the parts and put them together yourself for the price of this lower. I highly recommend it, if your looking to build an ar10. This PSA lower was too good of a price to pass up. It was perfect for the 308 build that I was working on. I saw the price and had to give it a go. I could not have gathered the components and assembled it myself any cheaper. Took her to the range and she functioned flawlessly. Thanks PSA. Awesome setup from PSA. Was hoping for an accurate long range weapon and I'm impressed with the quality and accuracy. This is the best bank for the buck for an AR10 complete lower! The quality is great and just as nice as any high dollar, big name brand. Will buy again! Naysayers....buzz off. Some guys are totall fixated on bragging on how much they spent on this part, or that part. The whole point of the late industrial revolution and the assembly line was that machine tools make identical parts. so if you want to pay double for something just because it has a different name stamped on it....fire away. Personally, I'll take this absolutely excellent product from PSA. Looks good, fit and finish are excellent, works good, well packaged, if there is anything wrong with it, I cant find it! Recommended without reservation. Awesome bang for the buck. This was the first lower ( along with the matching upper) that I have ever purchased outside of a store. It arrived on time and was exactly as described. 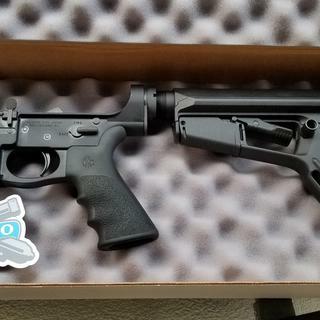 Assembly was as easy as putting any AR together. Performed flawlessly at the range and had it sighted in with 5 shots. The next 40 rounds feed perfectly with no jams or miss feeds. Best 600 dollars i ever spent. So far so good. I purchased a 20" stainless barrel 308 win upper to go with it. Upper to lower fit is very good. Inside ond outside finish looks great. I replaced the fire control group with a Rock River Arms 2 stage trigger with a 4.5lb jp spring kit. Gun runs great with no issues. Mounted a 3-18x44 vx6 leupold in a Larue 1.5 mount. Preliminary groups after barrel break in with my hand loaded 168 nosler ablr is 1.25"
Looking for an Ar10 build that wouldn't break the bank and leave money for Magazines ,Ammo and a budget friendly Optic this is Amazing. PSA did it again ! My PSA PA10 complete lower is absolutely awesome! Even the stock trigger is good enough for my planned hunting use. Fit and finish was very good. Function was accurate with the upper. Would buy again. Picked this up to build a budget rifle in 6.5 Creed and it works great! Purchased a PSA 6.5 complete upper to go with it and after popping the pins in to attach the upper I was sending rounds down range. Look forward to deer season this fall and maybe some antelope too. Would have given 4 1/2 stars. Not giving 5 because of 8 + pound trigger pull. Otherwise well made and assembled lower. I bought this lower to complete my .308 WIN. It fits up perfectly to the upper receiver , gen. 2 , that I purchased from Palmetto State Armory. I took the pistol grip and the adjustable stock off and replaced them with " Bravo Company" furniture. This is a good buy for the money , if your looking for a good .308 WIN. I highly recommend this product. I ordered this lower and a PA-10 upper, the upper was fine, the lower was not. The first issue appeared when I assembled the rifle and began cycling the action, I noticed that the interior threads where the receiver extension threads in were being marred. 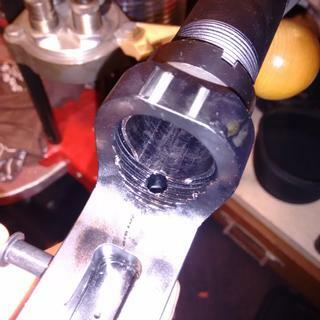 This was due to the receiver extension being too deep, allowing the bolt carrier to travel too far back and strike the threads. I encountered others online with this same issue, and was able to rectify it by placing two quarters (Acting as spacers) into the receiver extension. The second issue occurred (A few minutes ago) when I was reinstalling the buffer and spring. While sliding the buffer spring into the receiver extension, the buffer detent popped out. This was due to the small piece of the receiver extension that retained the detent chipping off. The attached picture will show you what I'm talking about. The third issue may not be considered an Issue by some, but the buffer and spring that shipped with my lower are IMO inadequate for use in a .308 rifle. The lower shipped with an H buffer, for comparison I run an H2 buffer in my mid length 5.56 carbine, and a spring shorter than an AR-15 rifle spring. Considering my experience with the quarters, I decided not to put my faith in PSA's decisions, and ordered an H3 buffer and a Sprinco Red spring. 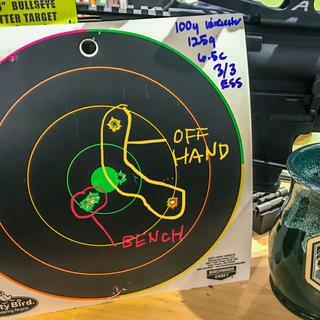 This setup performed well at the range, making me confident in my decision. None of the issues I had were catastrophic, and I suppose a few issue should be expected when buying the cheapest products you can get. Overall I'm happy with the product. Upper and lower fits perfect. Please contact us at your earliest convenience if you have any questions or concerns. Has work perfectly since I put it together. I would highly recommend this. I also ordered the PSA complete 20" upper. I had it completely sighted in within 9 shots. Last 3 shots would cover with a quarter at 100yds. Killed a nice 11pt whitetail opening weekend of rifle season with it. Can't beat the quality / price ratio. Have 18" PSA upper on this. Very happy with this rifle. Fit, Finish, and Function Flawless.Should be more appropriately described as Lr308 compatible. Works and fits with many 7.62 uppers, including the fantastic PWS Mk2 Mod 1. Albeit the buffer can be a bit noisy. AR15 furniture compatible. Upgrade consideration worthy. At this price, it's a sold deal. Buy it and enjoy! High quality great value for my AR-10 build. Has performed perfectly for me. Excellent low price AR10. It works as expected. It matched up with a PA10 upper nicely. I have only had my PSA PA10 to the range once, but the lower functioned well with the 20" upper I put on it. 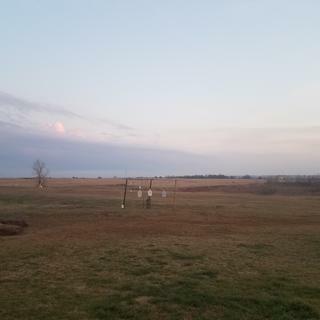 I hope to get it out more to stretch out the distance a little and to break-in the barrel more. This is my first PSA, but so far, I am happy with the product. I fitted this lower with the gen 2 6.5 Creedmoor. The combination fits tight together. I am very pleased with both the upper and lower. The rifle shoots smooth and consistent with sub MOA grouping. Unbeatable price and good quality. Looking forward for hunting season. Works great and am very satisfied with this lower. 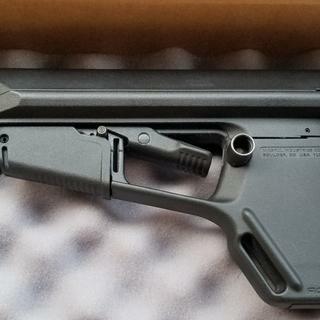 Great deal on a great lower with no issues but a 308 needs a better stock than the M4 style. I bought this with future upgrades in mind. The lower reciever itself is very nice, machining is exellent, finish is flawless, and takedown pins are nice and tight. My only compaint is the proprietary reciever extension/buffer tube. Being slightly longer than a milspec carbine tube alows the use of a standard carbine buffer but limits stock options. I plan to upgrade to a fixed rifle length stock anyway, so it is a minor issue at most. Furniture and FCG are nothing special but entirely servicable. Overall I'm happy with the purcase, shipping was prompt despite what some people have said. I wouldn't hesitate to recommend PSA to anyone and will be buying more things in the future. I only wish they made an upper in 308 with a barrel longer than 20 inches! I have enjoyed my lower. The trigger is heavy but I know how to fix that. Very tight fit which is a good thing.